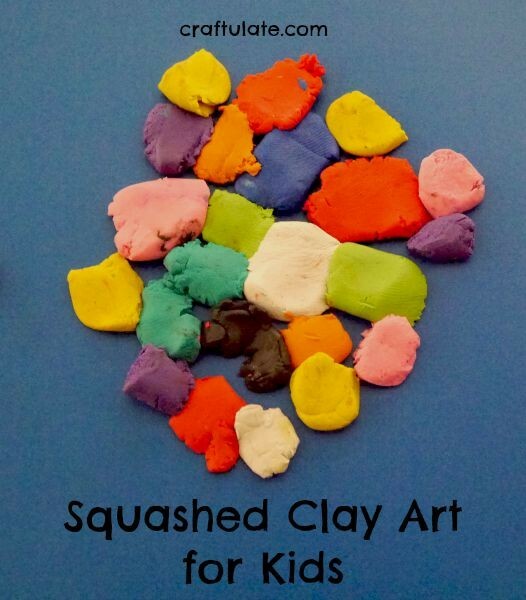 For this art activity you can use either air-dried or oven-baked clay – it doesn’t really matter as it will feel all the same when it is squished! 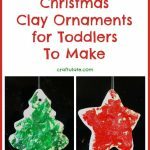 I think ours was a mixture as I know we bought some modelling clay from the dollar store at some point, and we have some “proper” clay too! 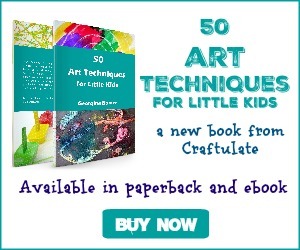 What you do need is the right work surface (or canvas, if you like to think of it that way). I had a blue plastic poster board that was perfect for the task – it is 14×22″ and I got it from JoAnn. The clay sticks to the surface but can also be peeled off without leaving any residue. 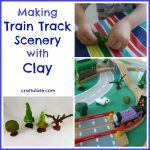 I taped the poster board to the table and provided my son with the clay. 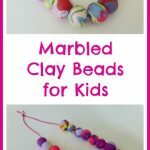 We play with play dough a LOT but it’s been ages since we got out the clay – not since we made marbled clay beads ten months ago! 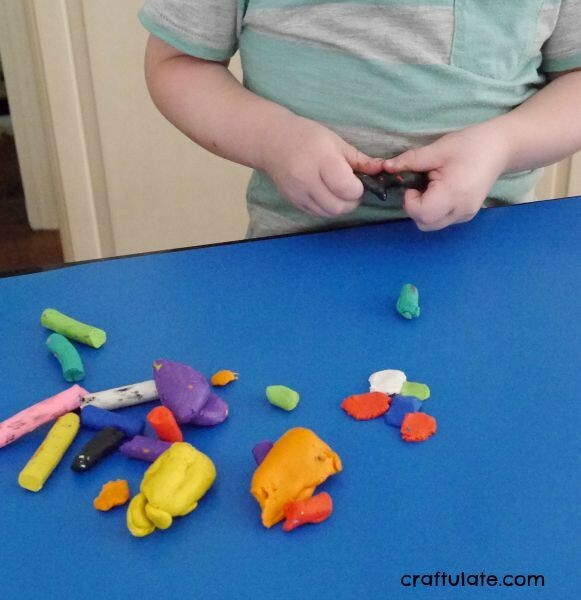 Although I wanted him to what he liked with this art project, I confess that I led him a little by showing him how to break off a small piece of clay then squash it onto the poster board. 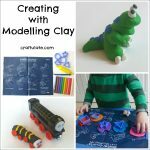 He added to the ones that I started and I soon realised that this was great for building up his finger muscles – I hadn’t worked the clay in advance to soften it, so it was pretty hard! But he worked away at the clay for quite some time! After a while he started his own creations. This, apparently, is a robot. And this started as a snowman but turned into a caterpillar. This was the finished main collage. So no, the final masterpiece wasn’t “for keeps”. 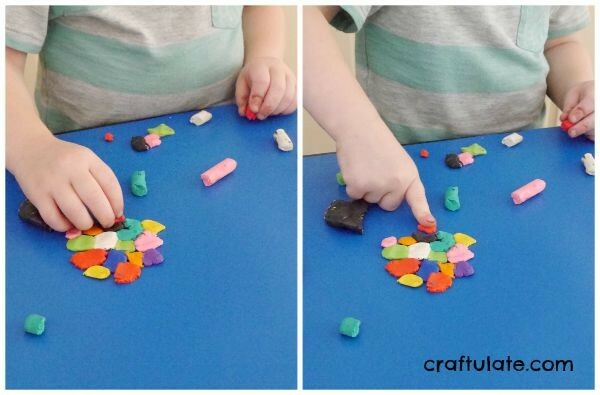 But it was fun to do and all the materials are completely reusable afterwards – no wastage at all!